Click the buttons on store items to take you to the install or more information pages. Click the buttons on store items to copy the direct item URL to the clipboard. Click to go to top of store page. 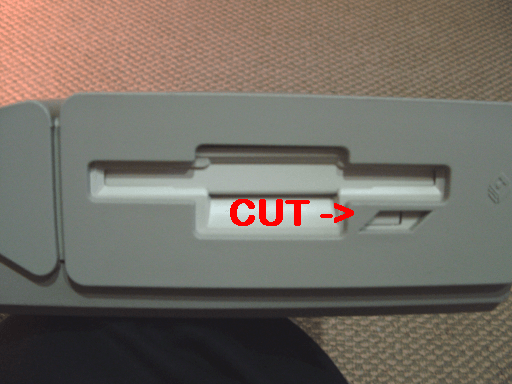 A high quality enclosed compatible power switch for the 2600 JR console. Please note, that because the original switches have a offset pin layout, these switches are actually dual pole, where you must cut off one row of pins in order for the switch to fit into the motherboard. Mod boards to replace the horrid JR push switches with proper clicky switches (like used in mice buttons). Click (i) for more information on fitting etc. New boxed 2600 compatible replica joystick boxed. Will also work on ST machines etc. New injection molded 2600 / 7800 cartridge shell. Looks and fits like the originals. V2.3 is 16mhz boost on CPU & ROM there is also a option to switch back to 8mhz mode. It supports TOS104 & TOS206 via a external ROM board (not supplied). See item 0131. This booster is assembled and tested as shown in the image. Please note as this board is large it will only fit the Later revision STFM boards C070789 series due to space restrictions on other motherboard layouts. Booster should work on MEGA ST with the buffer board, but it is untested and not officially supported anymore. AVAILABLE UNDER STOCKS ARE EXHAUSTED. Buffers the 16mhz line on the MEGA ST for stable operation of all my boosters. GAL IC, 2 resistors, 2 capacitors, header pins are supplied in this kit. NEW YM2149 IC for Atari ST etc. Controls parallel port and chip Audio. These Blitters are NOS and suitable for upgrading the STFM's to include the blitter (with addition to my blitter adapter board listed below). These Blitters can also be used for replacements for STE/MEGA ST machines etc. These are getting increasingly hard to find, so grab one while stocks last! Replacement for the MC68901 MFP as used in many ST's. DIP 14 type 5C OSC 32.084988MHz . NEW MC68B50 - Can be overclocked faster than the older 6850. Ideal for replacement of faulty or where keyboard faults happen with my boosters fitted. New tested MC68HC000 CPU. Will also work as a replacement for the STE CPU running at 8MHz. These CPU's are low power versions of the 68000 CPU commonly used in the STE and MEGA STE computers. These use a lot less power and run cool even at higher speeds. These CPU's generally run up to 32-40MHz but not guaranteed. These CPU's greatly solve -38 DMA ("Bad DMA") issues in the STE. No need to change the DMA chip, swap with this CPU first! Replacement CPU for the ST/STF/STFM/MEGA ST Machines. Tested replacement MC68000FN8 CPU for the Atari STE / MEGA ST computers. CPU brand generally MC or ST etc. Tested replacement MMU C025912-38 for the Atari STF/M/MEGA ST computers. Tested replacement GLUE C025915-38A for the Atari STF/M/MEGA ST computers. New RTC chip to replace the older/faulty NVRAM chips in the Falcon. This design uses a external CR1220 battery (not included) to power the RTC module. This module is assembled and fully tested. NOTE: You need to place some thick card (if re-fitting the shielding) above the RTC module (glue card on underside of shielding) , otherwise the metal could short the battery 5V to gnd! NOTE: Only use a quality socket otherwise you will likely have issues. Suitable for the Falcon or any other machine which requires a 68882 FPU. Fully tested (each instruction) at 16Mhz. Generally these will overclock to 64MHz. NEW tested WD1772 02-02 Floppy controller IC for Atari computers etc. These IC's are capable of 8MHz & burst speeds of 16mhz and are suitable for use with my 720k / 1.44 floppies kits. NEW tested VL1772-02 Floppy controller IC for Atari computers etc. These generally run hotter than the WD1772 and may run at 16MHz for short durations using my floppy kits but is not guaranteed. Quality black compatible printer ink in a single 5L container. This ink doesn't block your printer heads like a lot of cheap refill inks sold around the internet which can contain many impurities and often watered down for the "cheap price". Easily make a saving of �200 over buying smaller ink bottles in other refill kits. This ink is manufactured in the UK by jet tec, a leading brand of remanufactured inks in Europe. I have used this ink for years in my own Canon IP4500,HP8500, brother & epson printers. Selling these containers (possibly have a lot more) as I bulk bought ink a few years ago and purchased way too much black ink than I could use myself! Selling at cost as I need the space back! Toroidal transformer mounting washers. Pack of 2. HTM50S uses a high quality MAXIM MAX9709 chipset which can deliver superb sound quality up to 50watts RMS with up to 87% efficiency.The HTM50 module is operated from a single supply rail from 12V to 24VDC and typically requires just 0.5amps (500mA) of supply current (2amps max) under full load.Module has onboard 5V regulator which can be used to power external logic or used as a logic pullup rail. The board measures about half the size of a credit card � 60mm x 38mm x 12mm (LxWxH) approx. Designed and manufactured by exxos 2012. Assembled funky PLCC to normal PLCC socket adapter. Converts funky PLCC layout to generic PLCC layout. Ready to solder in. Ideal for replacement sockets or adding a blitter etc. NOTE: Pins need to be trimmed after soldering. The board should a small piece of card underneath to prevent the socket pins shorting out on the motherboard. Generally two layers of cereal box card is okay, but please check this before soldering in place. Pins may need straightening and cleaning. PCB adapter kit to convert the "funky" PLCC68 layout into a modern PLCC68 socket. Kit includes PCB, PLCC68 socket and header pins. Pins supplied in strips 6 strips of 16 pins. 2x16 cut in half for 4x8 strips. 4x16 way strips to be cut into 9 way strips. General 72 pin vertical simm socket for Atari or Amiga projects. A good quality 30pin simm socket. Ideal for replacements on the STE etc. General 72 pin right angle 45deg simm socket. (simm not included). New 14 pin din connector for use with the external floppy connector on the back of the ST/F/E machines. 40 PIN SOCKET, fits SHIFTER, MFP etc. Pack of 2. New turned-pin 64pin DIP socket - suitable for the 68000 DIP CPU. These are quality Tyco brand, not cheap China sockets! Ultra low profile Turned pin sockets as normally used for Falcon NVRAM etc. 1.5mm black plastic thickness. DB19 Female solder bucket socket. Used on Falcon video cables etc. I am unable to source anymore of these connectors and do not have many left :( . If anyone knows a supplier then please let me know. Connector for "exxos" PSU's for the Falcon 030. 5 lengths of gold plated 40 pin strips as used in many of my upgrades. Ideal for spares or own projects or repairs etc. Thin pin end is approx 0.5mm dia, 4mm long. Thick pin end is approx 0.6mm dia, 3mm long. Quality AMP right angle 72 pin simm socket. Useful little adapter to convert 2.5" IDE drives to CF flash cards. Ideal for Falcon IDE or IDE board capable of using CF cards. IDE 2.5" 44pin female to female. Cable length is approx 6cm. D-sub 25 PCB mount female connector for parallel/printer port. D-sub 25 PCB mount male connector for ST serial port. 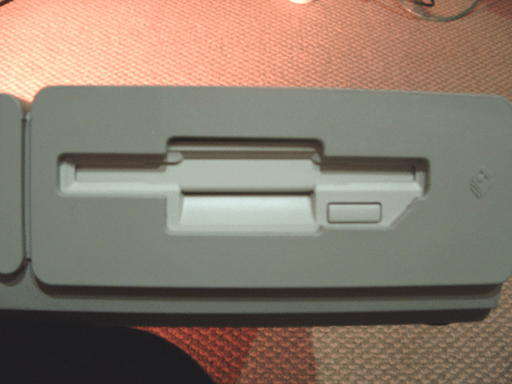 DB19 Female for Atari ST hard drive port (ASCI) PCB mount. Limit of 5 per customer! 14 PIN DIN PCB socket for external floppy drives on Atari ST.
Great quality fast charging Nylon Braided Micro USB Cable. 1 Meter length. Great quality fast charging Nylon Braided Micro USB Cable. 2 Meter length. 13 PIN DIN plug which fits the RGB/monitor port on the STF/E machines etc. PRO-SIGNAL (PSG02613) 5 pin din female / socket connector. Ideal for MIDI patch cables etc. 5 Pin MIDI DIN Plug (PLS00519) with Metal Body & Rubber Strain Relief. Ideal for MIDI patch cables etc. Sold in packs of 2. This kit is needed if you want to use 1.44 floppies on your ST/STE/MEGA machines. The board is fully automatic and will switch between 720K and 1.44 mode without the use of drivers or special software or TOS patches etc. You can use internal or external drives in either 720k or 1.44 mode. V7 series fixes TOS206 issues where sometimes it is patched to work in the wrong step rate mode for accessing 720K floppies. Also V7 series has the media change fix so TOS behaves better when the floppy is changed. V6 series is slightly smaller than the V5 and now uses single GAL IC. V7 also includes DMA pull up resistor which will help solves some DMA related issues. You also need a modded floppy drive such as the one I sell HERE . Please note if you use any other drive with this kit, then I will not be able to assist if you have any problems. Please note the 1772 is not included in this kit. Image is for illustration and kit is not assembled. Used floppy disks (sold individually) formatted to 10 Sectors, 82 Tracks (common extended Atari format). Disks have used labels, or part ripped labels, or no labels at all. Colours of the floppies are generally blue but can vary. Disks have had antivirus boot sectors written. Used floppy disks (sold individually) formatted to 11 Sectors, 82 Tracks where most "poor" quality floppies would fail. As these format with 11 sectors, I consider them reliable quality media. Disks are "like new". Colours of the floppies are generally blue but can vary. Supplied without labels and have had antivirus boot sectors written. New drive updated to work on the Atari STF/M/E/Falcon/MEGA series etc. All drives are tested & working to the maximum extended format of 22 sectors 86 tracks. High value Ceramic capacitors have been fitted across the electrolytics so you don't have to worry about the capacitors failing in years to come. These drives are later MPF920 models which work reliably on Atari computers (some early MPF920 drives are not reliable) These drives are a ideal as a replacement drive or to match my 1.44 floppy kit upgrade. Please note some minor case modifications are needed around the eject button. See HERE and HERE. Please note The floppy cable needs to be inserted upside down to use this drive. Refurbished ALPS floppy drive modded for Atari Use. Supports extended formats (11S / 82T , 22S / 82T). Drives are cleaned and considered good overall condition. Please note these drives are used and may contain minor marks, scratches, rust etc. Drive has black face plate. Refurbished ALPS floppy drive modded for Atari Use. Supports extended formats (11S / 82T , 22S / 82T). Drives are cleaned and considered good overall condition. Please note these drives are used and may contain minor marks, scratches, rust or discolorations etc. Drives are generally beige, or white front plates. A useful 10 inch extension cable to extended the internal floppy drive cable. Will allow HxC2001 to be fitted internally should the current cable be to short. The cable can be easily folded under , or over, the HxC drive to allow a easy "twist" in the cable without straining or breaking the motherboard cable & connectors. Genuinely refurbished 720K Double sided drive with fronts. These drives are mostly Epson/Sony drives, but can vary. Drives have been cleaned and tested fully. Drive heads have been cleaned. Ceramic capacitors added to replace aging electrolytics. Please note as these drives are old, they may have some slight rusting on the drives outer case. This in no way affects the operation of the drive. Floppy cleaning kit. Includes cleaning floppy & cleaning solution. Limited stock. 1 per customer only! New 2 button ball PS2 mouse. Ideal for use with PeST. PeST is the acronym for PS2 enumerator for the Atari ST. It enables any PC PS2 mouse to be used with the Atari ST / STF / STFM / STE / Mega / Mega STE / TT / Falcon etc. PeST supports 3 useable speed modes from original (speed 1) to fast (mode 3). Mode 3 is default which is faster than the original ST mouse. The device is completely automatic and fully plug and play. New replacement mouse switches (large type). Pack of 2. New replacement mouse switches (small type). Pack of 2. Cleaned & disinfected Atari mouse. These mice look almost like new and have new switches fitted. New replacement MFP 2.45760MHz Crystal. Contains various capacitors to replace the ones used in failing STFM video circuits. If your STE has bad whittles or interference type noises in the audio, then give this kit a try! Please also note the STE PSU is likely one of the main causes of noise. Kit includes 2 assembled mini PCB's. Header stripes are supplied but not fitted. Please see the information link on how to install this kit. Please note this kit might not solve all audio issues but I need reports back on people installing this to see what it is and is not solving. UBE Video Switch V6 by Urban Jonsson. This compact PCB plugs into the STF/M/E/MEGA ST video port and outputs to a VGA connector. So you can plug it into multisync or 15KHz capable monitors which will accept the ST's video resolutions. The board also holds 3 trimmer resistors to alter the RGB levels. 3.5mm A/V connector with volume control and autodetection of resolution (in software). Version 2 (blue board) of the clock buffer for the Falcon 030 machines. This board cleans up and buffers the falcon default clocks which is attributable to noises and crackles in audio applications or glitches in SCSI transfers. A quality quiet 12V sunon 40x40x20mm fan. Will fit MEGA ST PSU etc. 12V 40x40x10mm ~ 50mA. Fairly quiet 26dB, Ball Bearing fan. Ideal as compatible replacement fan for the falcon. 12V 40x40x10mm ~ 350mA. Ball Bearing turbo fan approx 40dB . Ideal as compatible replacement fan for the falcon where noise isn't a issue and maximum blow power is needed. Similar to CTCM but this module is set via a simple 22 turn resistor pot. This can be adjusted from 60MHz to over 100MHz. This module has been designed to work on CT60's which never worked with CTCM or where CTCM has stopped working for no reason. Please note I cannot guarantee it will work in all problematic CT60's. As this does not require software, if overclocking locks up your falcon, you just need to adjust the resistor pot and reboot, simple! This module is ideal for working out the max speed of your CPU/CT60/CT63. Preset speed is approx 85Mhz. The dtctr VGA tester, is a pocket device for use for testing if a monitor is 15KHz capable, a must if to be used with Atari ST and Amiga amongst other computers. It's powered by a 3V CR2032 battery and by the press of the power button it generates a test image within 6 seconds. The 3-in-1 monitor adapter is a small piece of hardware that plugs into the monitor port of the Atari Falcon030. Its main purpose it to make it possible to connect the Falcon030 to a monitor using a standard VGA cable, but it also provides a switch to toggle between RGB and VGA video modes (useful for monitors that accept both RGB and VGA frequencies), and an external clock signal to the Falcon030 video chip (to enable higher screen resolutions) compatible with the Blow-Up software. The monitor adapter comes with two oscillators of different frequencies. The oscillator on the adapter card is mounted in a socket to make it easy to replace it. The oscillator provides an external clock signal to the video chip of the Falcon030 to make it possible to achieve higher resolutions than the standard video modes when used in combination with the Blow-Up software. Board is assembled ready to use. Comes with 40MHz and 50MHz oscillators and USB cable for power. A really cool breadboard PSU. Accepts 7-12V via DC jack input or obtains 5V from USB connector. Jumpers on board can switch between 3.3V or 5V output on both sides. Output current 500mA on 3.3V and 5V outputs. If you live in fear of your efforts of "fixing" your ST/Falcon PSU (which you should be as falcons are kinda expensive!) Then I suggest buying these dummy load resistors to test your PSU under load before reinstalling it back into your machine. NOTE you CANNOT test switchmode PSU's without a load, it will malfunction! Resistors are simply pushed into the PSU connector. 5V uses 2.2R (loads 5V rail with 2.2amps) and 12V uses 10R (loads 12V rail with 1.2amps). Then you can measure the PSU under the load resistors and make sure the voltages are correct. Note these resistors are rating for continuous use, but get EXTREMELY HOT very quickly. So I suggest not running them for more than 30 seconds at a time. Connections to PSU connector are.. 10R in blue and black... 2.2R in red and black. This kit replaces any of the 4,700uF axial capacitors found in many Atari's with a higher value and much higher surge current rating than the original. Value is appox 5,500uF at 8amps surge capability. Kit includes PCB, header pins, 8 quality low ESR capacitors. All Atari's should have this upgrade done. This kit will help to improve audio,video,hard drives,stability etc of your Atari. Top rated quality, low ESR, High ripple capacitors. 2x CAPACITOR, 16V, 1500UF - Replaces all 1000uF caps. 3x CAPACITOR, 16V, 4700UF - Replaces all 2200uF caps. All Atari falcons should have this upgrade done.This kit will help to improve audio,video,hard drives,stability etc of your Falcon and reduce the risk of noise spikes killing the motherboard. Contains Top rated quality, low ESR, High ripple capacitors. All Atari's should have this upgrade done.This kit will help to improve audio,video,hard drives,stability etc of your Atari. Contains:All caps required to upgrade. Top rated quality, low ESR, High ripple branded capacitors. New designed PSU to fit Falcon 030 machines. Features include safe low voltage operation via a efficient toroidal transformer. PSU has much better regulation (10x easily) and cooler running than the original Atari PSU's. Fits on original PSU framework (not included). PSU connector is fitted as shown. NOTE: This Falcon PSU with pre-soldered connector is only available until stocks are exhausted. Afterwards, the connector is sold separately. New designed PSU to fit STF/M/E/MEGA ST machines. Features include safe low voltage operation via a efficient toroidal transformer. PSU has much better regulation (10x easily) and cooler running than the original Atari PSU's. Fits on original PSU framework (not included). PSU connector not included (re-use from old PSU). New "red edition" PSU features even higher efficiency, easier to install and can deliver up to 5amps on the 5V rail and up to 3amps on the 12V rail. Design only use 1 bulk electrolytic and uses SMT ceramics. Click the info icon for more info. NOTE: PCB colours vary (green / red). NOS 16MB 72pin 60ns SIMM. Ideal for RAM expansions for the Falcon etc. Low cost assembled & tested 4MB RAM UPGRADE kit for later STF/M motherboards. Fits under the PSU section. It can be switched from 1MB to 4MB for software that will not run on 4MB. 72 PIN SIMM adapter card for the falcon 030. Requires a 16MB simm which gives the maximum 14MB ST-RAM. PCB layout has been carefully designed to use the bulk of the copper area for 5V and 0V rails. Board has a generous 100uF ceramic capacitance for ultimate stability. PCB is assembled and ready to use (16MB simm not included). IMPORTANT! While the design is as small as possible, the top of the board is very close to the metal shielding, so you will need to use some thick card to use as a spacer to make sure the shielding doesn't short on top of the board! The RAM upgrade plugs over the MMU and SHIFTER. The DRAM is compacted ontop of the MMU adapter PCB making the design ultra small and compact and does not require simms. There is a jumper link which can be connected to a toggle switch to enable 1MB mode or 4MB mode. This gives maximum compatibility for ST software which will only run with 1MB RAM. If your shifter is not in a socket then you will need to unsolder the shifter to plug into the board. The MMU board is supplied assembled. The Shifter board is supplied as a kit. Cables are available to fit into MST/STM/STF/M. Ask if in doubt. New simms manufactured in 2017 by exxos. This is a kit of 4 simms (4x 1MB 30 pin) to upgrade the STE to 4MB of ST-RAM. Simms are 70ns non-parity. Lower power consumption. Gold plated contacts. SIMM's are now supplied with one side "tin plated" for better fit in some worn sockets. Please wipe any residue from the simm contacts & clean the STE sockets with the included IPA wipes before insertion. New compatible SIPP simms manufactured in 2017 by exxos. This is a kit of 4 SIPP simms (4x 1MB 30 pin) to upgrade the STE to 4MB of ST-RAM. Simms are 70ns non-parity. Lower power consumption. Gold plated contacts. New DRAM Supplied as chips on antistatic foam. Kit includes 16 DRAM's, 3 resistors,16 axial capacitors (like originals shown in image) This will upgrade 512K machines to 1MB. Note this only works with machines with the RAM banks as shown in the image, or C070789 Type motherboards. Note various brands or speeds of DRAM may be supplied. This in no way affects operation. 4x DRAM CHIPS - NEW & TESTED. Suitable for C103175 motherboards. Will upgrade 512K machines to 1MB (1024K). 4x SMT DRAM CHIPS NEW. Suitable for C103414 motherboards. Will upgrade 512K machines to 1MB (1024K). Pack of 16 100nF Axial capacitors as typically used for when upgrading the RAM chips on most motherboards. Original 2 chip TOS ROM for Atari STFM. Labeled for for convenience. As these ROM's are Atari original's, they do not need any wiring or pin bending to fit. They simply plug into the existing ROM sockets. Pin 1 is located where the label says HI or LO. Please note I also sell ROM kits switchable between TOS102 and TOS104. DUAL TOS Adapter pcb assembled to plug into C070789 style STFM machines. This board typically allows TOS102 & TOS104 to be used on normal C070789 style machines and TOS104 & TOS206 when used with the V2.3 booster. NOTE: YOU CANNOT USE TOS206 WITH THIS BOARD WITHOUT THE V2.3 BOOSTER! Board should be soldered into the motherboard otherwise the height in the sockets may not allow the shielding to fit correctly. KIT DOES NOT INCLUDE ROM, THEY ARE SOLD SEPARATELY BELOW! Adapter pcb to plug into most MEGA ST machines which gives a jumper selectable TOS 102 & Rainbow TOS 104. This kit can be used as a stand alone TOS upgrade and also can be used in conjunction with the V1.5 16mhz booster to give fast ROM access. Parts include PCB, socket, header pins, jumper link, capacitor. Kit requires Assembly. 16bit DUAL TOS ROM TOS102 & TOS104. Fits my STFM & MEGA ST DUAL TOS boards. Note: TOS 104 is patched to display some info on boot. Original 6 chip TOS ROM for Atari STFM. Labeled for for convenience. As these ROM's are Atari original's, they do not need any wiring or pin bending to fit. They simply plug into the existing ROM sockets. UK 6 CHIP TOS 1.04 (rainbow) to fit machines which currently have 6 chip TOS already installed. These ROMs are compatible with the V1.5 booster (16MHz). USA 6 CHIP TOS 1.04 (rainbow) to fit machines which currently have 6 chip TOS already installed. GERMAN 6 CHIP TOS 1.04 (rainbow) to fit machines which currently have 6 chip TOS already installed. SPANISH 6 CHIP TOS 1.04 (rainbow) to fit machines which currently have 6 chip TOS already installed. FRANCAIS 6 CHIP TOS 1.04 (rainbow) to fit machines which currently have 6 chip TOS already installed. SVERIGE 6 CHIP TOS 1.04 (rainbow) to fit machines which currently have 6 chip TOS already installed. Atari STE TOS 206 upgrade. Atari STE TOS 205 upgrade. STE Dual TOS Kit. TOS is selectable by a jumper on the board, or can be fitted with a toggle switch (sold separately ) if required. This board can also be used as a "Fast TOS" upgrade with the V1.X series STE BOOSTER . NOTE: Kit needs assembling and TOS162 / TOS206 ROM is sold separately below. PCB may be BLUE or BLACK. Assembled STE Dual TOS Kit (ROM sold separately) . TOS is selectable by a jumper on the board, or can be fitted with a toggle switch (sold separately ) if required. This board can also be used as a "Fast TOS" upgrade with the V1.X STE BOOSTER. EXTREME CARE must be taken when handling the header pins as they are fragile and can break easily.Take care removing the foam and care if inserting & removing into sockets. I will supply a spare strip of header pins for free. NOTE: ROMs are sold separately! 16bit DUAL TOS ROM TOS162 & TOS206. Fits Dual TOS board (0139). Genuine OTP TOS4.04 FAST ROM (not cheaper/slower eprom type) . Either a update or as a replacement for Atari Falcon 030 / C-LAB machines. These ROM's are verified working with zero waitstates on the Falcon which gives a small boost overall in machine speed. DUAL TOS 104 & 206 , only suitable when used with the V2.3 booster. DUTAL TOS 104 & 206 , only suitable when used with the V2.3 booster. Really useful for switching stuff. Suitable for most Atari PSU's using a similar looking switch. Omron Single Pole Single Throw (SPST), Latching Rocker Switch Panel Mount 16A @ 250VAC. A8WS-1162 ROCKER SWITCH RS number 707-3339 current priced £6.85. Switches were purchased for a project which did not happen, so now surplus. All are sealed in original RS packets. Ideal for contacts where air may cause corrosion long term. Suitable for ST PSU connections, Socketed IC/chips, PC power leads, car battery terminals etc. Supplied in 1ml syringe with approx 1ml contents. Ready to use. Insert blue plunger. Remove red cap and fit grey syringe tip. Apply to contact surfaces and attach. Wipe excess grease off with cotton swab or tissue. Wire Glue utilizes the latest advances in microcarbon technology to bring you a highly conductive glue at a fraction the price of competitive products which use precious metals. Intended for hobby and repair applications, Wire Glue is the first in a series of adhesive products based on microcarbon from Anders. Applications: ~ Surface Mount ~ Wire connections ~ Flex Boards ~ Solar Cell Leads ~ RF Shielding + Many more! NOTE: Glue needs to be thoroughly mixed for at least 3mins before each use. Tub size approx 3x3x3cm. This glue is not suitable for high current applications. Really useful magnifier for checking for shorts between pins or checking SMT parts. It has 2 LED lights giving good light to where you want to magnify and comes in a case as shown. I use these all the time myself and find them really useful. They require 3 AAA batteries. Non-Toxic Green Alternative to throwing away worn out keypads KEYPAD FIX can be used to repair: Game Controllers Parking Access Keypads Garage Door Opener Keypads Remotes for TVs and DVD Players Home Security System Keypads These are tough, flexible wear-resistant repairs. Keypad Fix cleans and restores conductivity to the carbon on the keys of switches on remotes and keypads. This jar contains enough to coat over 200 button contacts. Cleans only those contacts that need to be repaired. Brush it onto carbon contact with a cotton swab. Dries tack-free in 2 hours. Repaired keypads can be returned to service after drying overnight. Mix thoroughly for 3mins before use. Cleans Corroded Electrical Contacts, Swab it on. Scrub it clean. CLEANS LEAKAGE FROM ALL TYPES OF BATTERIES including alkaline, nicad, nickel metal hydride, and zinc carbon cells. Rejuvenates battery contacts on all battery-powered equipment including:Toys, Remote Controls, Radios, TVs, Phones, Flashlights PLUS Musical Equipment including Effects Boxes, Tuners, some Keyboards, Etc. CLEANS ELECTROLYTIC CAPACITOR LEAKAGE ON CIRCUIT BOARDS. CORROSION GONE! can also be used as a PRECISION RUST REMOVER . Just rub it on the rusted areas where you want the rust to be gone. It will act like a fine-grade sandpaper, but unlike sandpaper it gets into all corners and crevices. And because it is activated by rubbing, it only works where you want it to. With careful application you can use Corrosion Gone! to remove the rust that you want to remove without wrecking painted areas that are right next to the rust.Mix thoroughly for 3mins before use.